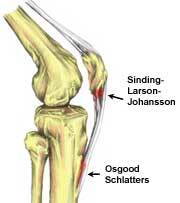 Sinding-Larsen-Johansson syndrome is a type of young osteochondrosis that disrupts the attachment of patella tendon to the patella’s inferior pole.Basically, severe inflammation of bone takes place at your kneecap’s (patella’s) bottom where the shin bone’s tendon has been attached during the Sinding-Larsen-Johansson syndrome. It can be best described as an abused knee injury instead of a serious traumatic injury. What Causes Sinding Larsen Johansson Syndrome? Also known as SLJ syndrome, Sinding-Larsen-Johansson syndrome mostly affects teenagers during the periods of their rapid growth that takes place when they hit puberty. 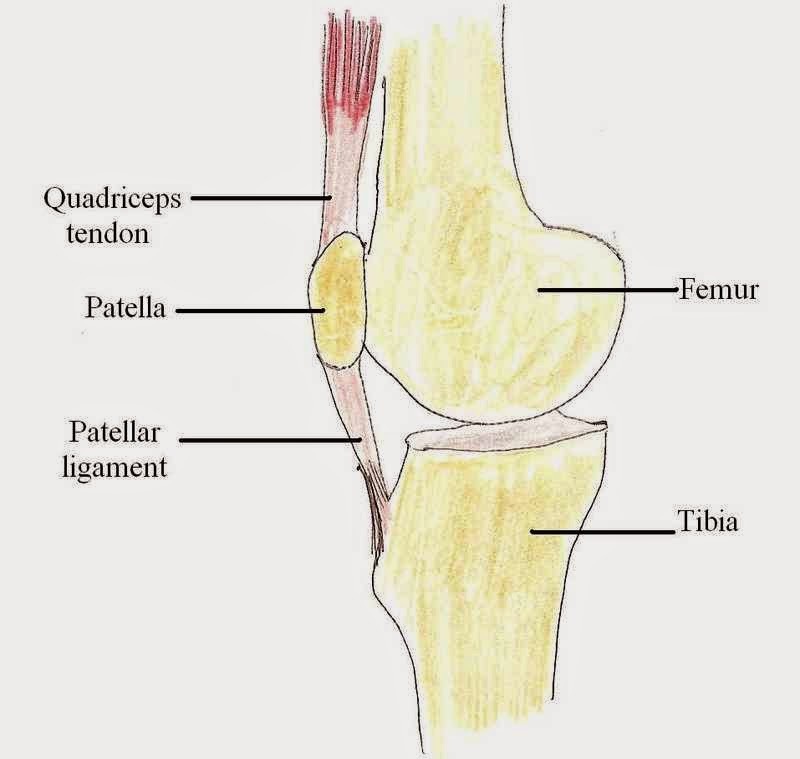 The patellar tendon connected the kneecap to the tibia (shinbone.) When you are growing, that tendon becomes attached to one of the growth plates located at your kneecap’s bottom. Increased and frequent stress on your patellar tendon results in the irritation and inflammation of that particular growth plate leading to the painful Sinding-Larsen-Johansson syndrome. SLJ normally affects children when they are between 10-15 years old. This is because growth spurts normally take place during this period and SLJ mostly occurs during the growth spurts. Sinding-Larsen-Johansson syndrome normally attacks in teenagers involved in active physical activities and sports, such as jumping and running as these activities strain your knee by putting excessive burden on it. Normally, boys are mostly affected by it, but girls can also acquire this syndrome. When you suffer from SLJ, you can feel tenderness or swelling at your knee’s front and suffer from a localized pain. Here are the most commonly occurring symptoms of Sinding-Larsen-Johansson syndrome, so you can identify it on time. Sinding-Larsen-Johansson syndrome is clinically diagnosed by your doctor or physiotherapist. They take an X-ray of your knee that shows ossification or calcification at the point where the patella ligament and patella are joined. MRI scan mostly excludes the other musculoskeletal conditions. Physiotherapy is mostly used for treating Sinding-Larsen-Johansson syndrome. The symptoms mostly resolve in 3 to about 18 months if it not treated, but by treating it correctly, children are able to easily resume their normal life and activities within about 6 to approximately 14 weeks. Let us take a look at how SLJ syndrome is treated in different phases. The patient is restricted to participate in high impact sports and activities like running and jumping. Patient is allowed to carry out low impact games and activities like swimming, water-running, cross-training and cycling. An infrapatellar knee cover/ strap is applied on the knee to protect the point of SLJ against strong forces. Kinesiology taping can provide load reduction and pain relief. Ice and electrotherapy is mostly employed at this phase. A unique combination of electrotherapy, tens unit and ice treatment helps in reducing the pain caused by SLJ and improves the condition’s healing process. This speeds up the recovery time period of the patients. Ice is helpful for soothing the swelling after exercise, or even otherwise. The patient is advised to rest a lot in this phase as rest helps in relaxing the swollen ligament. It is wise that your consult your routine and exercise regimen with your doctor, so you can find out how much rest your body needs. Patients showing mild symptoms of SLJ are allowed to continue with their respective sports, while those with aggravated symptoms are advised to rest for some time and take break from their hectic routine. However, those with mild symptoms are also advised to reduce their physical activity. This helps in decreasing the time span of the pain that attacks them once their exercise finishes. Massage, stretching exercises and the use of foam rollers is recommended at this stage. A common cause of SLJ is extremely tight and strained quadriceps muscles, hip flexors, calf muscles and ITB. With the help of stretching exercises, your doctor can find how tight your muscles are, so they can recommend suitable treatment procedure for them. Foam rollers and massage are very helpful as they soothe the pain caused by SLJ syndrome. Is It Possible for Adults to Have Growing Pains? How Many Calories Should a Teenager Eat?